He is Fulgrim's champion, the Soulthief, and the Scion of Chemos. His name is whispered and cursed across both time and space, a peerless blademaster who even death cannot threaten. He is Lucius the Eternal, blessed by Slaanesh and the greatest swordsman of all the fell Legions imprisoned within the Eye of Terror. 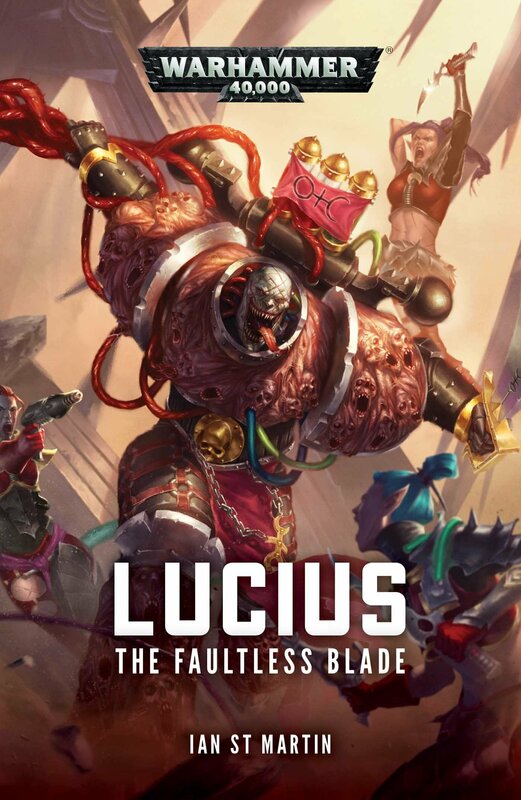 With his armies exhausted by unending war and consumed by their own twisted iniquities, Lucius turns to an erstwhile brother of the Emperor's Children to rebuild his strength. Faced with betrayal from without and even from within his own flesh, will Lucius discover something that even one who cannot know death should fear?